Published on October 18, 2017 in Releases. 0 Comments Tags: AR, augmented reality, Beer Pong AR, EZone, iPhone, iTunes, Mammoth Mini Golf AR. Bridge the gap between games and the real world, with two new augmented reality titles from eZone! Watch as a prehistoric putting arena rises from the ground in Mammoth Mini Golf AR, or put your aiming skills to the test in Beer Pong AR; either way you can grab your friends for a quick game anywhere, anytime. The magic of augmented reality with Apple’s ARKit brings a wacky caveman themed world of mini golf right into your home! Place the course anywhere you like, grab your friends and let the fun begin! Move around to get the best angle, set direction and power and putt for glory! But watch out for the crazy cast of characters trying to stop your ball from reaching it’s home: mammoths, dino-birds, cavemen and volcanos, just to name a few! Tee off on iPhone by grabbing Mammoth Mini Golf on iTunes. To get an idea of the primordial perils that are par for the course, check out the preview video below or over on youtube. Beer Pong AR is big time fun for you and your friends! The magic of augmented reality means you can play Beer Pong anytime, anywhere! Place the beers anywhere you like, grab your friends and let the fun begin! Move around to get the best angle and simply swipe to launch the ball into the cups! Who will be the Beer Pong AR Champion?!? The test of skill that is Beer Pong AR, is now available on iTunes for free. Don’t let your time get wasted, and check out the preview video below or over on youtube for a sneak peek of the gameplay. Published on June 30, 2017 in Releases and Video. 0 Comments Tags: Android, augmented reality, EZone, Fidget Spinner: Journey of the Secrets, iOS, release, trailer, video. 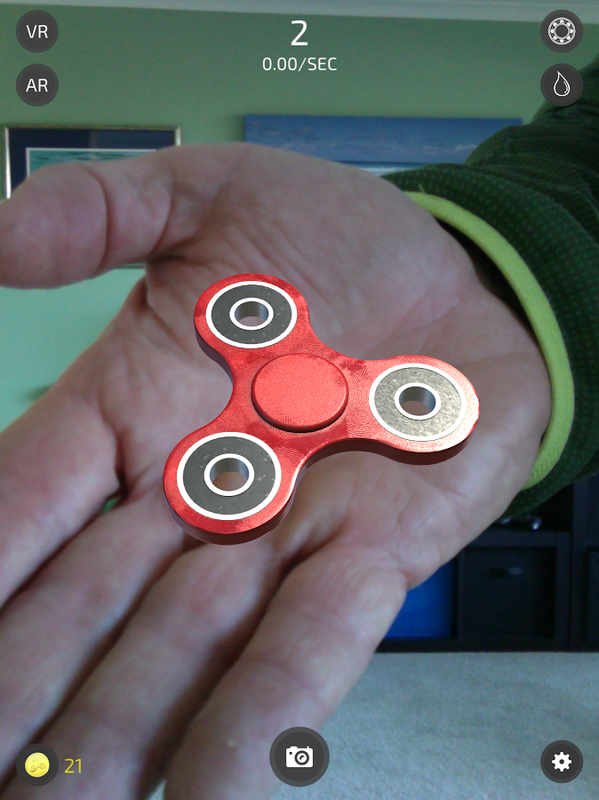 Delve into the secrets of the fidget spinner craze, with eZones’ new augmented reality game for iOS and Android that asks “…Could spinners actually be ancient?” Using your phone’s camera Fidget Spinner: Journey of the Secrets combines the real world with fantastically designed 3D spinners, plus there’s a virtual reality mode for those with Google cardboard. All for free! This is simply the best fidget spinner simulator available. These spinners are just like the real thing with eye-popping 3D visuals and lighting, real sounds sampled from actual fidget spinners, and accurate real-time physics. Touch and turn, swipe them, or rapid tap the center to reach maximum spin speed. 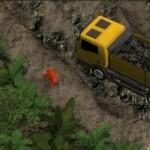 ‘Journey of Secrets’ is not just a simulator, it’s also an idle/clicker game. Each spinner within the game has a target number of spins: reach it to unlock the next. As you unlock each spinner more clues will be revealed to help you discover the true purpose of these intriguing devices. Do you have what it takes to discover all their secrets? You can grab the game for free now on Google Play and iTunes. Check out the official trailer below to get a glimpse of the shiny, spinning goodness of Fidget Spinner: Journey of the Secrets. Published on November 23, 2016 in Releases. 0 Comments Tags: Android, EZone, iOS, Join the Dots, Mobile. The team at Ezone are at it again, having released another entertaining title for mobile… Join the Dots! It’s quick, easy, and you can tap right into the fun now! 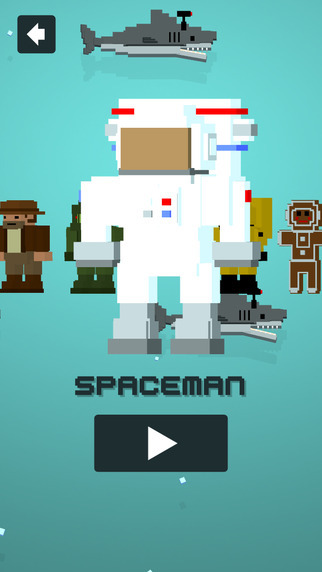 It’s a simple premise that really tests your reflexes and strategic thinking – tap on the dots to connect them before they move off the screen, while avoiding the squares. New themes are unlocked by collecting stars during gameplay. Whether you are a score chaser or a collector ‘Join The Dots’ has you covered! Get a sneak peek of the gameplay below, or join in right now on iOS and Google Play. Published on September 11, 2015 in News. 0 Comments Tags: Diver Dash, EZone, iOS. At last it’s Spring, a time when the weather gets warmer and the cool ocean water becomes more and more enticing. 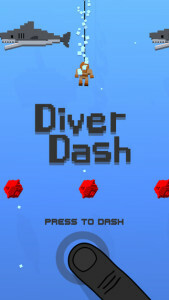 So why not brush up on your swimming and/or sinking skills, with Diver Dash! This latest local game to hit the iOS store is the work of eZone, the guys behind Snow Spin, which won the Best Game & Interactive Narrative award at the 26th Annual WA Screen Awards. 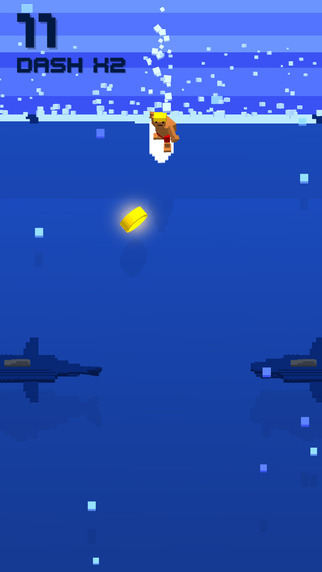 Diver Dash is a fast-paced scrolling arcade game where you avoid sharks and mines on your endless descent to the ocean floor. Press the screen to stop the obstacles and dash through the gaps. Compete with your Game Center friends and collect coins to unlock all the wacky characters and themes. What are you waiting for? Dive in today! 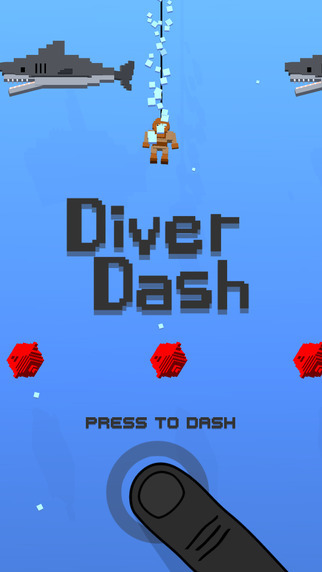 Diver Dash is available now for iPhone and iPad for free, and there are plans for an Android version in future so stay tuned! 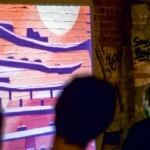 Published on July 18, 2014 in Events and News. 0 Comments Tags: EZone, FTI, GunDash, Raging Pixel Productions, SK Games, Snow Spin, WA Screen Awards. A big congratulations are in order for the Edis Brothers at EZone, who won in the Best Game & Interactive Narrative category for their iOS title Snow Spin! Released December last year, the game puts players in the snow shoes of daring explorer Prof. Capt. Roger Headwind, who is forced to retrieve lost treasures and plane parts on his trusty snowboard. A special mention must of course go to the other nominees, including SK Games for the party favourite Gundash, and the folks at Raging Pixel Productions with not one but two nominations for their interactive apps Orangutan and Where’s My Snack? 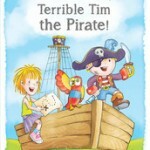 Terrible Tim the Pirate. If you’re curious to see the winners of the other equally excellent categories, simply head on over to the FTI site and check out the full list. The Let's Make Games archives for the ezone tag.